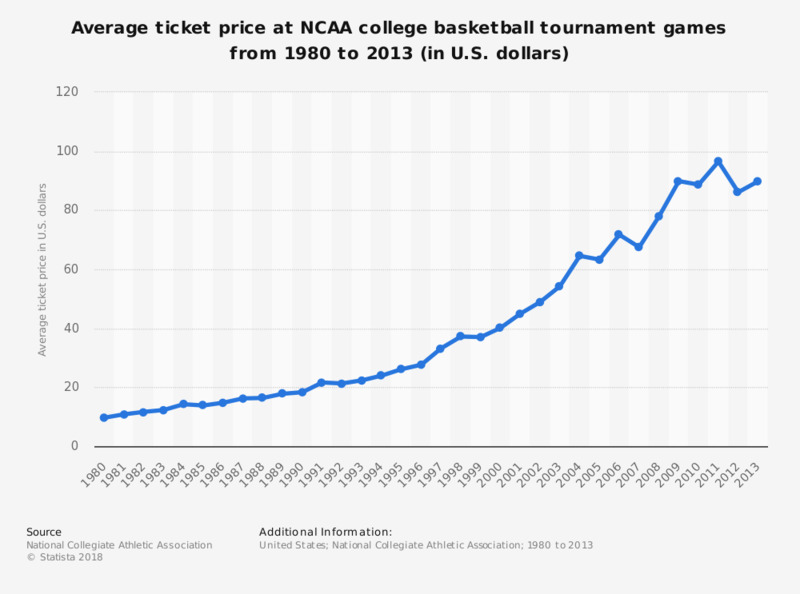 The graph shows the average ticket price at NCAA college basketball tournament games from 1980 to 2013. In 2010, the average ticket price was at 88.69 U.S. dollars. Are you more or less likely to consider trying a product/service if that product/service is an official NCAA sponsor? Which of the following insurance companies is an official sponsor of the NCAA?